Time to do some Friday blog hops and meet new bloggers!!! If you are here reading this post from one of the below blog hops please let me know!! I love knowing where you came from! For those stopping in, here is a list of my current giveaways! If you enter Friday-Monday give yourself the "Weekend 10 Bonus Entries" comments for any of the giveaways that you enter! May is National Hamburger Month and Today is National Hamburger Day! Sooooo Here are two burgers for you to enjoy! One is sweet and one is spicy! Click pics for recipes! Do you have a burger recipes on your blog? Leave the link! Here are more recipes if you are wanting to look for some ideas. Thanks for stopping in! Go check out these blog hops, too! Do you know of any other blog hops? If so leave the links! All my follows are on the right side bar! You can follow me with Google Friend Connect, Networked blogs, Facebook "Like" and Twitter! Please leave a comment on how you followed me so that I can come follow you back!! Have a great and safe Memorial Day Weekend! As a kid growing up in Indiana in the 70s-80s I didn't hear much at all about soccer. I'm not even sure I knew what it was. By the time I had children in the 90s, I knew what it was and my little 3 year old twins were playing the sport! I recently found out that "one of the earliest forms of soccer in which players kicked a ball around on a small field has been traced as far back to 1004 B.C. in Japan." Click to read more on the history of Soccer. This brings me to the book, Soccer World Mexico: Explore the World Through Soccer by Ethan Zohn & David Rosenberg. This book is an educational children's book that explores geography, history, science and the culture of Mexico. The authors also have a book Soccer World South Africa. What makes this book so awesome? How about a soccer book written by a real-life soccer player? Ethan Zohn is just that! He took his passion of soccer and connected the world into fun, educational teaching tools. Ethan's name was familiar to me but I couldn't remember why. After doing a search, I realized he was the winner of Season 3 Survivor and was on Pitchmen with Billy Mays. Ethan a cancer survivor and co-founder of Grassroot Soccer. Ethan continues his adventures around the world, this time meeting up with his young soccer-playing friend Gabriel in Mexico City as they explore the cultures and customs of our neighbors to the south. From a walking tour of Mexico City to visits at ancient civilization ruins, an amazing once-in-a-lifetime butterfly migration sanctuary, and colorful Lucha Libre wrestling--Ethan and readers experience the real Mexico, away from the tourist traps and border towns. Activities generated from each chapter are wide-ranging, including learning Spanish, science and math projects based on the Mayan cultures, creative projects borrowed from Mexican folk art and celebrations, and even simple recipes. As in all Soccer World adventures, readers have the opportunity to research a "give back" project in Mexico. Through their efforts, kids can make a difference in the wonderful country. This book is labeled ages 6-9. As a homeschool tool, I can see it used from Kindergarten through Sixth-grade. Soccer is a game played in almost every nation that brings people together instantly with just one ball! The book takes the reader on an adventure, exploring the world of Mexico. As the the main character, Ethan travels through the country with his soccer ball, meeting new friends, he leads the reader into learning about customs, culture, language, animals, recipes, geography, history, craft and science projects, music, environment, geology, currency and math, oceans and caves and of course, sports in Mexico! The book is jammed packed with 45 pages of pure goodness! The graphic are outstanding with easy to read fonts. Do you want a copy of the book? Click on the link above to order your own copy! You also have a chance, below to win one!!! To enter: Tell me something about soccer. Please leave your email with this entry! 2) Follow my blog- Google Friend Connect or Twitter! For each follow you get an entry into the Giveaway! Leave separate comments for each one you do so that I can follow you back. 1 entry for each follow! 3) Twitter the link to this giveaway 2 entries each tweet, unlimited tweets. Thanks to Nomad Press for the book to review and one copy for a giveaway. The words expressed here are of my own tasty opinion. Thanks to The Product Review Place for the product opportunity by connecting me to the giveaway company. Download N Go is an online educational curriculum that follows a unit study/lapbooking approach to learning. These unit studies give you daily interactivity lessons. Use them daily or spread them out into your learning schedule. Once you purchase the Unit it is yours to keep, nothing is consumed and can be used over and over. Nothing else is required to purchase with the unit study. Each unit list books to enrich your study, but they are not required. The Download N Go unit studies include all the research that is needed for the unit study. This allows the teacher to pick up the unit and start teaching. The prep work is done and hyperlinks are embedded right into the study to save you time. History, Spelling, Geography, Vocabulary, Literature, Writing, Science and Art! The first unit study we reviewed was of the hero, Davey Crocket, "The King of the Wild Frontier," by Amanda Bennett and The Old Schoolhouse®. The unit is set up in a biography format. The study teaches about his childhood, education and family life. Davey Crocket's history is such an important part of our American history. The unit includes a timeline and a certificate upon completion of the study. The suggested level of learning for this unit is K-4th grade. Day 1: Who was Davy Crockett? My daughter is in 5th grade and found that was still a great age to use this Unit. The pictures and easy to read layout are a plus! The older children can explore the links listed on their own time. All the sites were appropriate for children to view. I really appreciate the links and the extra books that were recommended with the unit. Older grades can use this unit as a spring board into more reading and writing activities. We can't wait to try out more themed unit studies by Download N Go. 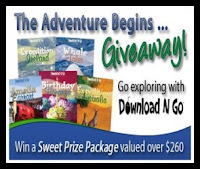 Fan them on Facebook and enter to win a "Sweet Prize package valued over $460"
I just stumbled into this follow me on Facebook link up this morning! It is very fun to do! Just follow the first 4 ladies on the link up to get started! Then go visit and follow other blogs on the link up! I'm excited to meet new bloggers this way!!! Hope you do, too! If you stop in from the Link Up please leave a comment and follow! I always come back and follow!! Have a great Wednesday Link up on Thursday! May is National Hamburger Month! I love a good juicy burger AND I'm not talking about the burgers at fast food chain. I make turkey burgers on my George Foreman Grill. They always turn out perfect! Chop up medium onion and mix in with the hamburger meat. Form into desired amount of patties and grill. On the George Foreman grill cook the burger 4 min, flip and then 3 minutes. Add cheese to burger then put on bun, onion, pineapple and sauce! Yummy goodness! You'll need a few extra napkins. Ever wonder what happens when a writer marries a poet? Are you married to a writer? Do you wonder what it would be like to be married to one? What if he publish a fiction book about marriage infidelity and you read it and wonder how he knows so much on this subject? Writers do research, right? Are you curious to know? If so, this book is for you! I loved reading this book about about a husband and a wife. It is fascinating to read about the workings of marriage from when life is good all the way to when things are going, not so good. When things go bad in a relationship and betrayal has occurred and it is out in the open, the couple goes through the steps of grief as if someone died. The author delivered the steps and the message. Now it is your turn to read and see what happened between a husband and a wife, an author and a poet! In this new novel by the celebrated author of The Myth of You and Me, a young mother discovers that her husband's novel about infidelity might be drawn from real life. Suddenly Sarah's world is turned upside down. Adding to her confusion, Nathan abdicates responsibility for the fate of their relationship and of his novel's publication—a financial lifesaver they have been depending upon—leaving both in Sarah's hands. Reeling from his betrayal, she is plagued by dark questions. How well does she really know Nathan? And, more important, how well does she know herself? For answers, Sarah looks back to her artistic twenty-something self to try to understand what happened to her dreams. When did it all seem to change? Pushed from her complacent plateau, Sarah begins to act—for the first time not so responsibly—on all the things she has let go of for so long: her blank computer screen; her best friend, Helen; the volumes of Proust on her bookshelf. And then there is that e-mail in her inbox: a note from Rajiv, a beautiful man from her past who once tempted her to stray. The struggle to find which version of herself is the essential one—artist, wife, or mother—takes Sarah hundreds of miles away from her marriage on a surprising journey. Wise, funny, and sharply drawn, Leah Stewart's Husband and Wife probes our deepest relationships, the promises we make and break, and the consequences they hold for our lives, revealing that it's never too late to step back and start over. Read more about the author, Leah Stewart. Leah Stewart is the author of the novels The Myth of You and Me and Body of a Girl. A recipient of a 2010 NEA Literature Fellowship, she has taught at Vanderbilt University; Sewanee, the University of the South; and Murray State University, where she was the Watkins Endowed Professor of Creative Writing. She currently teaches creative writing at the University of Cincinnati and lives in Cincinnati, Ohio, with her husband and their two young children. TO ENTER: Tell me something about your husband, wife, or your special someone! Please leave your email address with this entry. BONUS entries- do all, one or none. 2) Follow my blog- check all the ways on right side bar, including Twitter! For each follow you get an entry into the Giveaway! Leave separate comments for each one you do so that I can follow you back. 3) Twitter the link to this giveaway. 2 entries each tweet, unlimited tweets. Thanks to HarperCollins for the book to review. The words under MY OWN TAKE are my own tasty words and opinions. Don't you just love e-books? Here is a brand new e-book novella for you to download for free. A SAINT FOR ALL REASONS: A POCKET BIBLE OF 100 SAINTS FOR EVERY SITUATION (QNY, a part of the Langenscheidt Publishing Group; $13.99; ISBN: 9780843713817; Trim Size: 4 1/4” x 7”; Format: Trade Paperback; Pub Month: MAY 2010). Comprehensive and compact, A SAINT FOR ALL REASONS connects spirituality with everyday life, offering a direct link to those who can help you out of any situation. *Can’t find the remote, but the Yankee game starts in 5 minutes? Pray to Clare of Assisi! *Don’t have a date this weekend? *Does your car break down more often than you brush your teeth? *The boss wants you to move mountains before work! Pray to Alphonsus of Liguori! Best of all, A SAINT FOR ALL REASONS is available in a portable, handy format. The perfect size for your briefcase, glove box or handbag, its bright purple color ensures you’ll never lose it—even in the mess of your car’s backseat or overflowing purse! And if you feel a certain affinity for a specific saint, just visit www.desktopsaints.com (username and password provided upon purchase of the book) to download your favorite spiritual leader straight to your computer or cell phone. In the car, subway, train or plane, you will feel spiritually guided just by carrying your laptop or phone. Quirky yet inspiring, there is no obstacle too great for A SAINT FOR ALL REASONS. Whether you’re afraid of flying, looking to spice up your love life or just wondering how to get through the day…there’s a saint for that! I'm not someone who would normally go to a Saint in times of need or distress. I was curious about this book and so happy that I got the chance to review it. I've never read a book dedicated to the Saints. I was so impressed with the detailed history given on each Saint. For example, Gregory The Great, patron of music. He was pope from 590-603 and founded several monasteries. His patronage of music arises from his collection of chants, known as Gregorian chants. I'm very familiar with Gregorian chant but never gave it much thought as to its origin. Each Saint is also listed with a ritual and prayer. Did you know that there is a saint for housework, single women and even electricity. The book includes a Saint for every day of the year. The book also includes a special user name and password to allow you into the online site, Desktop Saints. This allows you to get the graphics of the saints for your computer and cell phone. I love book like this that include interaction with technology. I give this book a thumbs up! Yes, it might be "quirky" but it is very educational. Tim Muldoon is a Catholic theologian, writer and retreat leader currently teaching in the Honors Program at Boston College, where he also serves in the Office of University Mission and Ministry. He is the author of Longing to Love: A Memoir of Desire, Relationships and Spiritual Transformation (2010) and The Ignatian Workout: Daily Spiritual Exercises for a Healthy Faith (2004). To enter: Do you know any Saints? If so tell me one that you know. Leave your email with this entry. Thanks to Langenscheidt Publishing Group for the book to review and one to giveaway. The MY TAKE ON THE BOOK are of my own tasty words and opinions. This PR opportunity came to me via The Product Review Place. This is such a relevant topic because I'm doing just that for the weekend! I'm taking a quick road trip with my teens and we are getting packed and ready to go! Here are our top 5 must have fashionable pieces for our weekend trip! #1 Shades, shades and shall we say more shades! A girl can not leave the house with out a handful of shades. #2 Shoes, shoes and yes, more shoes! We will need comfy, fashionable shoes while we talk in and out of Outlet stores. Mom needs her Birkenstocks and the teens need their flip-flops. 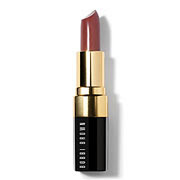 #3 Pucker up lipstick and lip gloss- I can't believe this is getting listed as #3 for me but lipstick and lip gloss. I don't go any where without it! It is my #1 never-leave-home-without-it item. 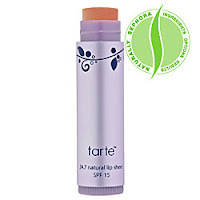 I love that you can count on your favorite brands supplying your gloss with SPF to protect your lips! 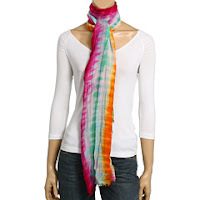 #4 Scarf - I love my fun, fashionable scarves! You can do a head wrap to protect your hair-do in the sun and wind or you can use it to dress up a plain t-shirt. 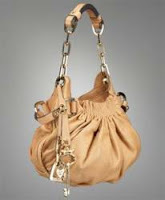 #5 Purses and bags- For me the purse and the hand bag are all about fashion, too! No way can you take a quick weekend trip and not plan on bringing a few fashionable purses and bags. You need to look good when shopping and your purse needs to be mulit-functional. How about you? What are your TOP 5 must have fashionable pieces to pack for a quick weekend trip? Each May, National Foster Care Month provides an opportunity to shine a light on the thousands of children and youth in the U.S. foster care system. The National Adoption Campaign in partnership with the Children’s Bureau, AdoptUsKids, and the Ad Council raises awareness about the urgent needs of these young people and encourages citizens from every walk of life to get involved. Through the dedication of advocates, child welfare professionals, elected officials and support groups around the country, the total number of children waiting for a safe and permanent family has decreased from more than a half million to 463,000 between 2003 and the end of 2008. These numbers tell us that, together, we can make a difference for children in foster care. But there is still so much work to be done, as there are more than 123,000 children waiting to be adopted. 2) Find out How you can help. 3) Join us May 27 at 2 p.m. EST on Twitter for an #AdoptUsKids one hour chat to get the message out about National Foster Care Month. 4) Join us on Twitter and Facebook for more information and to help spread the word. Thanks for taking time to read this! Visit www.adoptuskids.org to learn more about fostering and adopting. This is a public service announcement through Global Influence. This is an ongoing segment on using coconut products in the kitchen, thanks to the folks at Tropical Traditions. Coconut products offer different health benefits. Here is what I learned about Coconut Flour and Coconut Oil. My newest coconut product to try out is dried Coconut Chips. 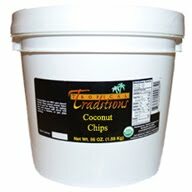 From their website: They are 100% natural Shredded Coconut, Coconut Flakes, and Coconut Chips are made from organic dried coconuts in the Philippines that are grown with no fertilizers or pesticides. This premium dried coconut contains no additives or preservatives, and is not sweetened. Unlike most dried coconut on the market, our dried coconut products are not treated with sulfites to keep them white. 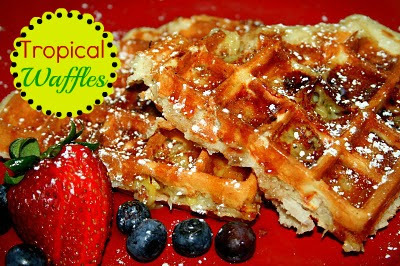 They are a great addition to recipes and baking, or just for snacks! Note: The Shredded Coconut is a very small cut, suitable for baking, such as making macaroons. The Coconut Flakes are a larger shredded coconut cut, perfect for garnishing or toppings, such as the top of a coconut cream pie. The Coconut Chips are a much larger cut that can be used as a snack food. You can mix them with nuts and dried fruit, for example. To enter: Go to Tropical Traditions and tell me something you learned, you want to purchase or a recipe that you want to make. Leave an email contact with this entry. 3) Twitter the link to giveaway 2 entries each tweet, unlimited tweets. Thanks to Tropical Traditions for the Coconut Flakes to review. The recipe and opinions are my own tasty words. I can't wait for my up and coming road trip with my teens! I have our new 10 hour CD book to help pass along the time! We will be listening to Abraham Lincoln: Vampire Hunter! This is a 9 disk unabridged read by Scott Holst and featuring an interview with the author, Seth Grahame-Smith. While Abraham Lincoln is widely lauded for saving the Union and freeing millions of slaves, his valiant fight against the forces of the undead has remained in the shadows for hundreds of years. That is, until Seth Grahame-Smith stumbled upon The Secret Journal of Abraham Lincoln and became the first living person to lay eyes on it in more than 140 years. The CD also contains a bonus PDF of historical photographic documents. I"ll be sure to report back and let you know what we thought of this CD! I have loved his other books! See below! Legacy Recordings now offers a different kind of inspiration with Dolly Parton’s 17 classic gospel recordings. This collection is a perfect gift for Parton fans and fans of Inspirational Music. It is now available at Amazon.com and Christian bookstores everywhere. From the back cover: From the timeless gospel classic "How Great Thou Art" to "Daddy Was An Old Time Preacher Man," a personal tribute she wrote for her grandfather, Dolly Parton's devotion to faith and family shine throughout this potent collection of songs. The 17 tracks make up this 45-minute collection are original songs from the 1970s. Before listening to this CD, I did recall the song "Daddy Was an Old Time Preacher Man" as one that she would sing. I didn't realize it was a song from the 1970's. I was born in the 70s! A few of my old and now new favorites are "Daddy Was An Old Time Preacher Man," "Coming For To Carry Me Home," "Would You Know Him if you Saw Him," and "The Master's Hand." I love the sweet, sincere voice of young Dolly Parton. She hit the country charts in 1967 and is a well known artist for her entertainment work in film, music and television. This is a great CD to lift your mood, get you up and moving and singing. Check out the CD on Amazon and listen to the mp3 samples. I hope that you, too, will soon have a few new favorites of your own. Thanks to Legacy Recordings of Sony Music Entertainment for sending me a review copy. The words expressed here are of my own tasty opinions and words. Yea! It is Friday! 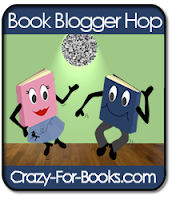 It is my most favorite day of the week because I usually sign up for 2-4 Friday blog hops! This gives me a chance to go find new blogs and have new peeps come see me! So if you are stopping in from one of the blog hops, pleaseeeeeeeeeeeeeeeeee leave a comment and tell me where you came from!!! I love following back so if you do that lmk and I'll follow you, too!! 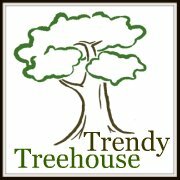 You can check out the links right here on my blog from The Trendy Tree House link up below! Author of Substitute Yourself Skinny: Cut the Calories, Keep the Flavor with Hundreds of Simple Substitutions! 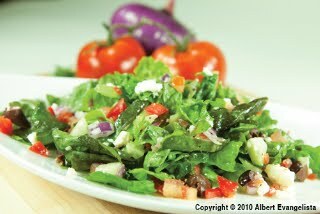 Skinny SecretThis recipe has so many great flavors in it that you can skip on the heavy salad dressing, which can add up to over 500 calories to an otherwise light salad. From Substitute Yourself Skinny by Chef Susan Irby, Copyright © 2010, F+W Media, Inc. Used by permission of Adams Media, an F+W Media, Inc. Co. All rights reserved. Photos by Albert Evangelista. The above is an excerpt from the book Substitute Yourself Skinny: Cut the Calories, Keep the Flavor with Hundreds of Simple Substitutions! by Chef Susan Irby. The above excerpt is a digitally scanned reproduction of text from print. Although this excerpt has been proofread, occasional errors may appear due to the scanning process. Please refer to the finished book for accuracy. Chef Susan Irby has worked with multiple Master Chefs including George McNeill, Todd English, and Ming Tsai. Known as the Bikini Chef, specializing in "figure-flattering flavors," Chef Susan is host of The Bikini Lifestyle with Susan Irby The Bikini Chef on KFWB News Talk 980 in Los Angeles and author of The $7 a Meal Quick & Easy Cookbook, The $7 a Meal Healthy Cookbook, and Cooking with Susan. She has cooked for several celebrities including Patrick Swayze, David Spade, Kate Sagal, and Bill Handel, and appeared on The Patti Gribow Show and KLAC Los Angeles and numerous other media outlets. She lives in Orange County, CA. For more information, please visit www.susanirby.com. Become a fan of the Bikini Chef on Facebook and follow her on Twitter.